Comments: Very Good condition. 11th edition. With Access code. 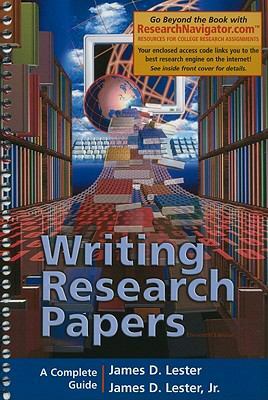 Lester, James D. is the author of 'Writing Research Papers, Research Navigator ', published 2005 under ISBN 9780321392268 and ISBN 0321392264. Loading marketplace prices 2 copies from $5.81 How does the rental process work?